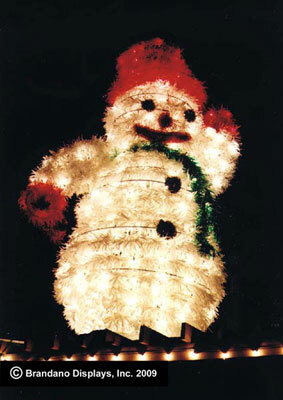 Every year, the Holiday Fantasy of Lights set up its elaborate end-of-the-year-holiday themed lights exhibit designed especially by Brandano Displays Inc. Thousands and thousands of string lights are fashioned into whimsical shapes like animals, snowflakes and, of course, palm trees! This event is especially fun for smaller children, but it’s sure to bring smile to anyone’s faces. This is a holiday light show with a special twist – it’s a drive-thru at the Tradewinds Park, which is one of the Fort Lauderdale area’s largest county parks. but we sure do know how to make a snowman! Visitors enter the park and stay inside their vehicles as they slowly meander around the park’s roads and enjoy the light show. The exhibit’s length of 3 miles makes it long enough to be worth it but not too long that people would lose interest. Hear the kids’ ooohhhs and aaahhhs in the backseat as you pass illuminated trees and lighted moving displays that cast their festive glow on the young ones’ faces. Holiday Fantasy of Lights at Tradewinds Park is a fantasy of color, lights and design this holiday season. This is made possible through the generous efforts of the Alzheimer's Family Center and Brandano Displays, Broward County Parks Department and the City of Coconut Creek. The Holiday Fantasy of Lights, Broward County’s spectacular drive-through holiday lighting event, is returning to Coconut Creek for 2011. The 17th edition of the Holiday Fantasy of Lights, with 3 miles of giant animated holiday displays and illuminated trees, is larger than ever blending the favorites of the past and the excitement of new creations by Brandano Displays. We expect capacity crowds attracting over 150,000 visitors of all ages in 35,000 cars, trucks, motor homes and buses. The Holiday Fantasy of Lights presents exciting sponsorship and marketing opportunities for regional businesses that can show their public appreciation by bringing this exciting holiday event back to South Florida. Enhance your drive-through adventure with the 3-D experience! 3-D glasses will be available at the entry of the drive-through for just $3 for 3 pairs. Fun for the whole family! Makes holiday lights more exciting and beautiful than ever!